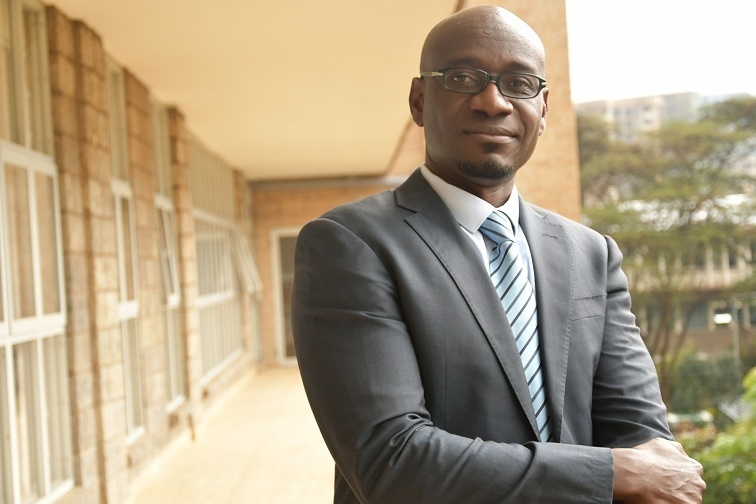 One of the key figures in the development of healthcare managers in the country is Dr. Ben Ngoye who recently obtained a PhD in Management Sciences at the ESADE Business School of the Universitat Ramon Llull in Spain. He rejoined the Institute of Healthcare Management (IHM) as faculty. The work done by IHM has had a great impact on the running of public and private hospitals in the country. A lot of this impact has been through the development of leaders and managers in the public and private health sectors through programmes such as the Leading High-Performing Healthcare Organisations (LeHHO) programme and the Managing HealthCare Businesses (MHB) Executive Programme, which is the first of its kind in Africa. In these programmes, the students not only learn the leadership and management skills necessary to take the health agenda forward, but they also engage in a real-life institutional improvement project. On our journey to demystify research throughout the research month, we ask Dr. Ngoye a few questions related to research, healthcare management and his future plans. How would you define research? Research is a way of getting answers that can solve problems in a manner that is not biased by your own experiences or intuition. Put differently, it is an appropriate means to finding answers. One of my current interests is in the area of public sector performance. Performance is something that has concerned us for ages and has gathered renewed interest in this era of greater demands from the populace and dwindling resources available to governments. Questions that intrigue me include: Why do we collect so much data, have strategic plans and policy documents, yet we don’t seem to improve? Is it that we have the wrong tools? Is it that we have the right tools but the wrong implementation? Is there a disconnect between those who design and direct policy and the people who implement? If so, what are the causes of this disconnect? I wish it could be that easy. One of the things that I am looking at is the difference in perception regarding performance between those who ask or direct that things be done, and those who are tasked with the doing. We did a study that shows that perception of the individual actors along this chain of directing and doing matters, and that the two are not always aligned. We also found out that people’s values and/or ingrained beliefs deriving from their training or past experiences have a large influence on how they interact with and interpret situations that confront them. For example, a doctor may view a situation from a professional perspective given his or her training background, or from a market or public-sector perspective given that they may be in private or public practice. Each of these views will lead to differing interpretations of the same situation, and the doctor’s action will be guided accordingly. What challenges have you encountered in your research journey? Research can be expensive in terms of time and resources. There are many things that compete for one’s attention and so balancing all these becomes very hard. Research can then take a back seat; you do it when you have time as opposed to it being the primary focus of your work. Second, getting people locally who give priority to research may sometimes be difficult, yet good research is a collaborative effort. You need a team so that others can pick out your blind spots. I have a Master’s Degree in Public Health, a second in Organizational Development, and a third in Research. I would describe myself as an academic nomad. I go wherever interesting questions take me. What next after the PhD? A PhD instills the idea of inquisitiveness and of appreciating that every situation could be looked at from multiple perspectives. I view a PhD as a stepping stone; more interesting things happen after the acquisition of a PhD. My main interest moving forward is to work with other colleagues here at the university to develop greater rigor into research conducted by our students, as well as that which we do ourselves. I’d like to grow, nurture and support other researchers until research becomes part of our DNA. Irrespective of the thematic area of interest, the underlying thing is to continue with one’s own development and that of others in terms of better research. The idea behind research as is done in a Masters or PhD programme is to help develop a skeptical and inquisitive mind. Many, however, go for these degrees only as a stepping stone – to get a job or a pay rise. Go for these degrees for the knowledge, egged on by the idea of finding answers that can help make the world a better place. The world will then take notice and all other benefits will necessarily follow. This article was written by Wambui Gachari.